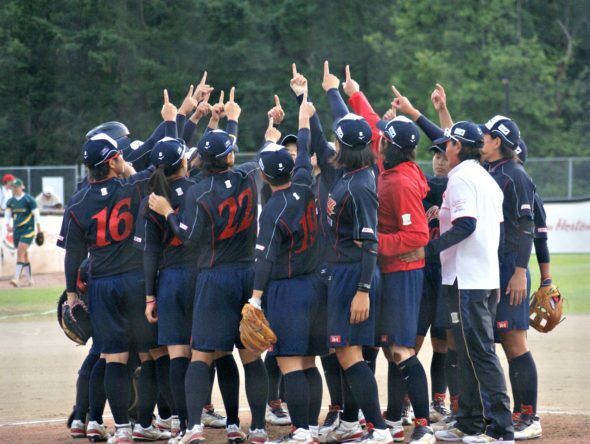 Despite striking out in 2009, the popular Canada Cup softball tournament returned to the mound from July 7 to 17. It was the first time in eight years that the tournament has been held in Surrey. “It feels like we are returning home again, to tell you the truth,” says Greg Timm, the president and chairman of the Canadian Open Fastpitch Society. About eight years ago, softball was removed from the Summer Olympics. Countries around the world lost their Olympic funding for the sport and the tournament had to downsize. In 2010, the Canadian Open Fastpitch tournament replaced Canada Cup. “When we were out of the Olympics, our sport lost its funding. You always want to play for your country but those opportunities become hard when you don’t have funding behind you,” says Stacey Porter from Team Australia. On August 4, 2016, it was announced that softball would be returning to the 2020 Summer Olympics in Tokyo, Japan. “It has brought back the dream. If you are a young girl playing ball and you want a chance to represent your country on the biggest sporting event in the world, that dream exists,” Timm said. Jenn Salling, one of the captains for the senior Canada team, understands how important the Olympic dream is. She is one of the few players currently on the team who participated at the 2008 Summer Olympics and wants to bring a medal back in 2020. With the return of softball at the Olympics, the decision was made to bring back the popular Canada Cup tournament. The tournament itself helps prepare teams from visiting countries for the major qualifying tournaments like the World Championship. Resources provided from the Olympic funding have allowed for more teams to return to the Canada Cup this year, including the popular Team Australia and three teams from Canada’s women’s division: the senior national team, a developmental team called Canada Elite, and a junior team. “I’ve been playing softball since I was five years old,” says Salling, “and it’s been a dream of mine to represent my country playing the sport that I love. It’s super humbling,” Salling said. Unfortunately, both the senior Team Canada and Canada Elite were eliminated early in the playoff rounds of the tournament. The junior Canada team ended up placing second in the elite category, losing to the Chinese Taipei team. Team Japan, the number one team in the world, won the tournament in the women’s category, beating Team Australia 7 to 1 in the finals. Team Venezuela placed third. Overall, nine countries were represented in the women’s category—an impressive turnout compared to recent years. Salling hopes that the revival of the Canada Cup will continue to inspire more countries to return to the sport. 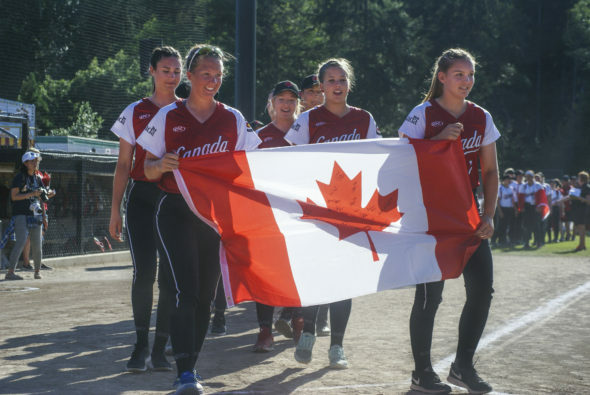 This year’s Canada Cup tournament also benefited from increased attention following the success of the 2016 Women’s World Softball Championship, which was hosted in Surrey. It showcased 31 teams from around the world, producing the largest turnout of teams in the tournament’s history. With softball returning to the Olympics, the Canada Cup tournament will be here to stay. The 2018 Canada Cup tournament will take place right before the World Championship in Chiba, Japan, which will be the first qualifying tournament for the 2020 Olympics. Timm hopes that more teams will make it out next year, including teams from Europe and Team USA. He also expects that the tournament will continue to grow and improve every year. “The level of unselfish volunteer time, sponsorship support, and people from the community inspire me to want to do this again and better and more,” he says. Both Timm and Salling hope that the revival of softball will continue to inspire the youth. Along with her teammates on Team Canada, they plan on using the Olympics and the Canada Cup as a platform to connect with young players around the world.